El Hacendero et son majordome. 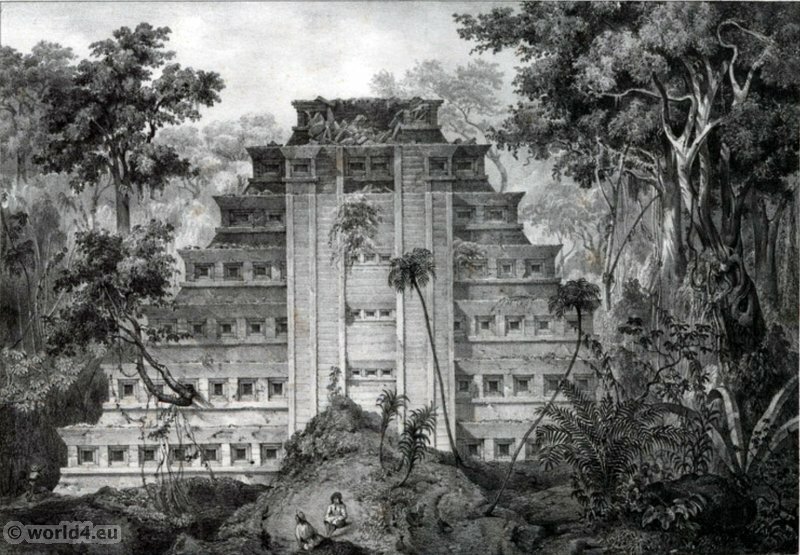 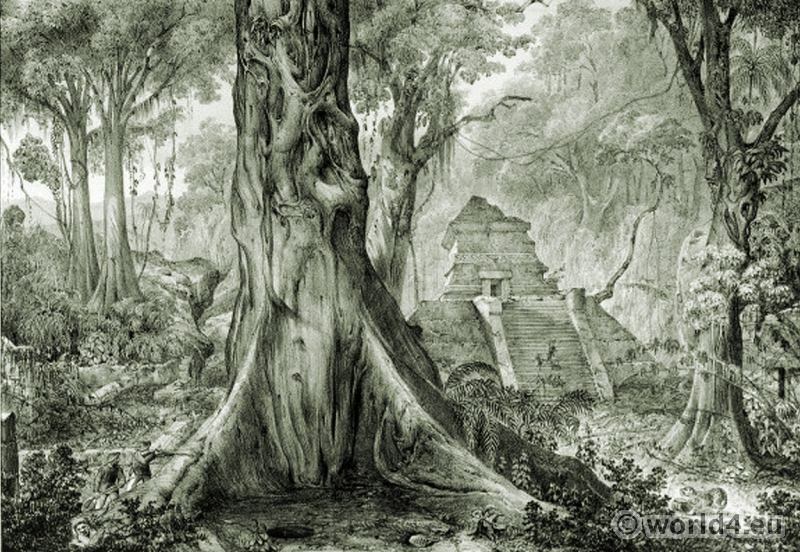 Voyage pittoresque et archéologique dans la partie la plus intéressante du Mexique by Carl Nebel 1836. Lithograph by Frédéric Lehnert. 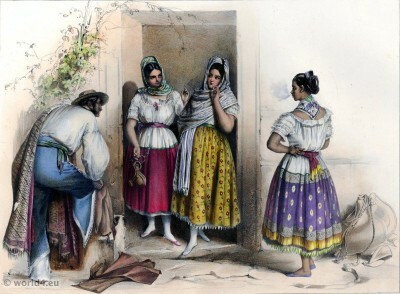 La Mantilla. 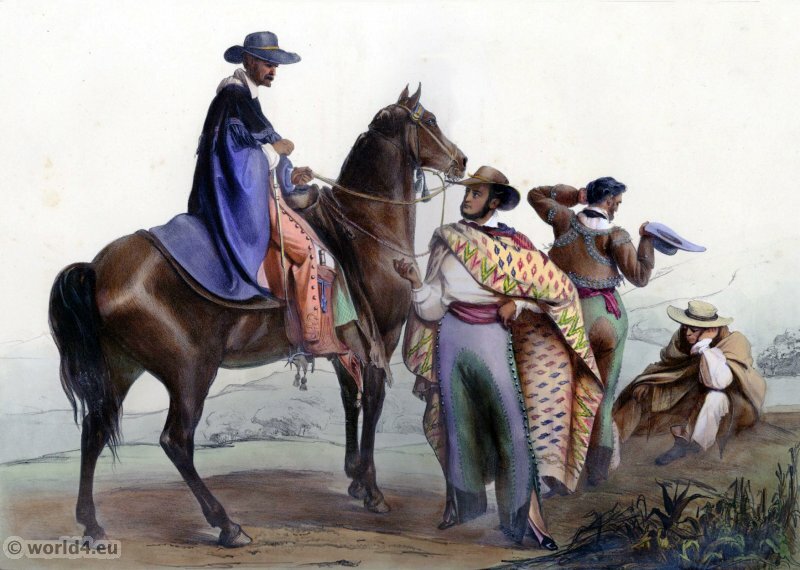 Traje por la mañana. 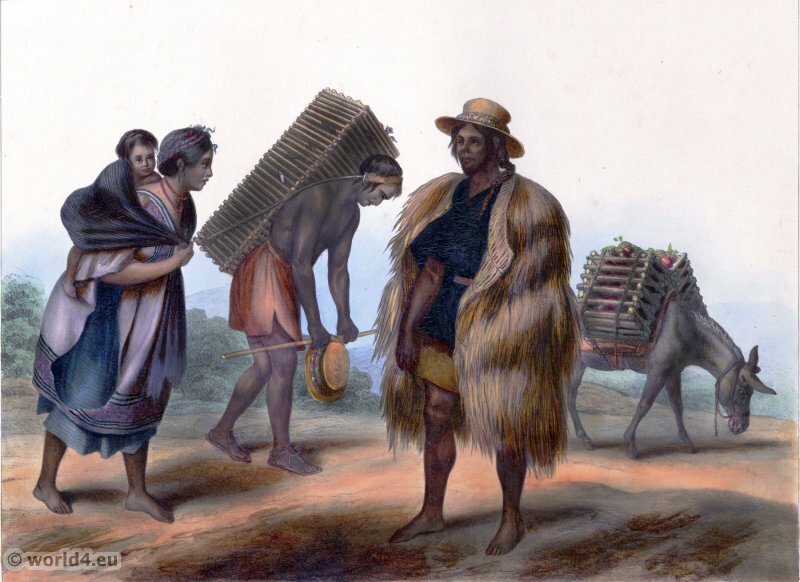 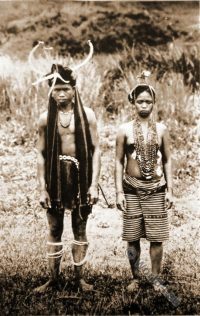 Indians of the Guauchinango Mountains. 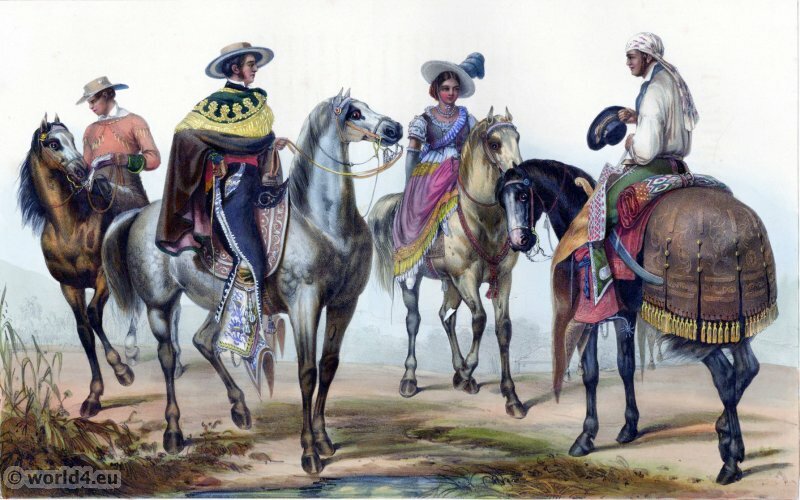 Indias de la Sierra al S. E. De Mexico. 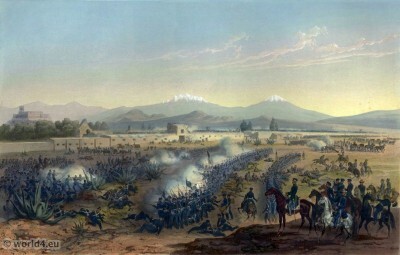 Chapultepec Quitman, September 13, 1847. Battle of Molino del Rey. Attack upon the Molino. 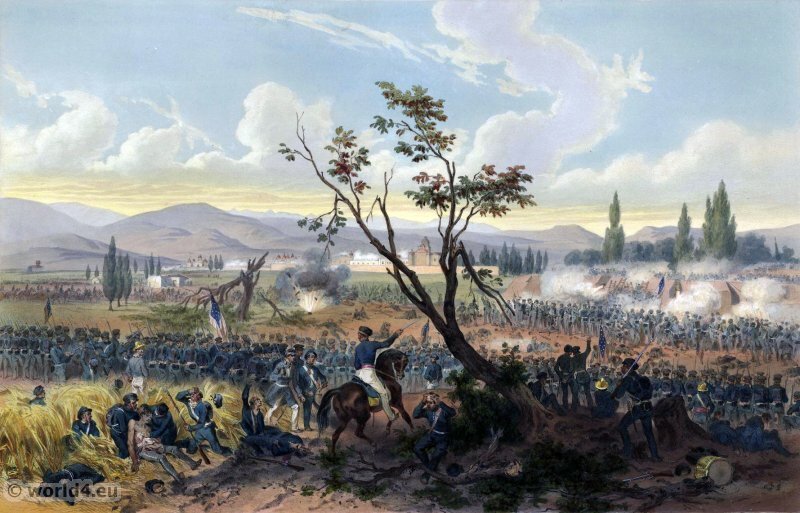 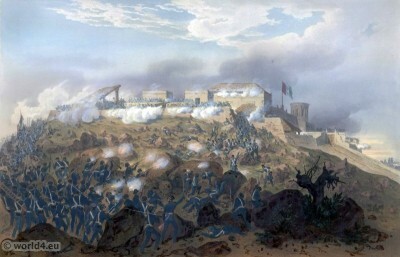 Molino del Rey – attack upon the casa mata, September 8, 1847. 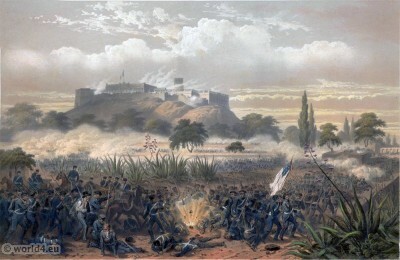 Capture of Monterrey, September 25, 1846. 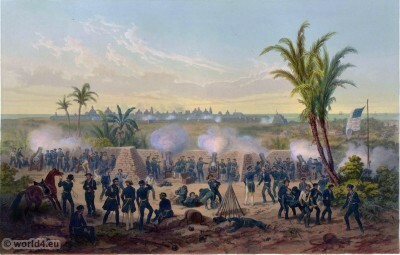 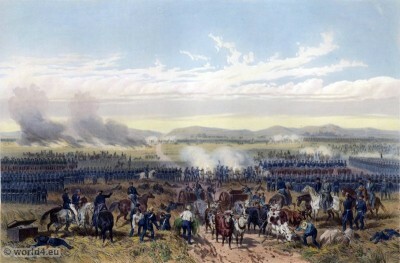 Battle of Churubusco, August 20, 1847. 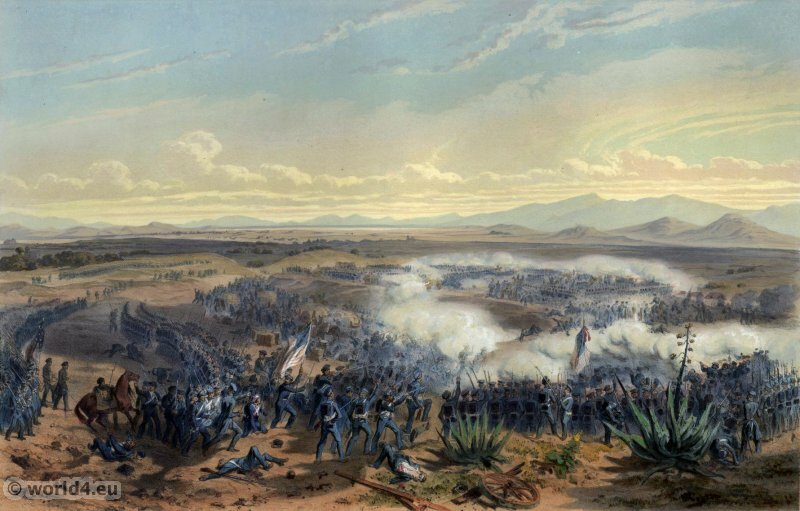 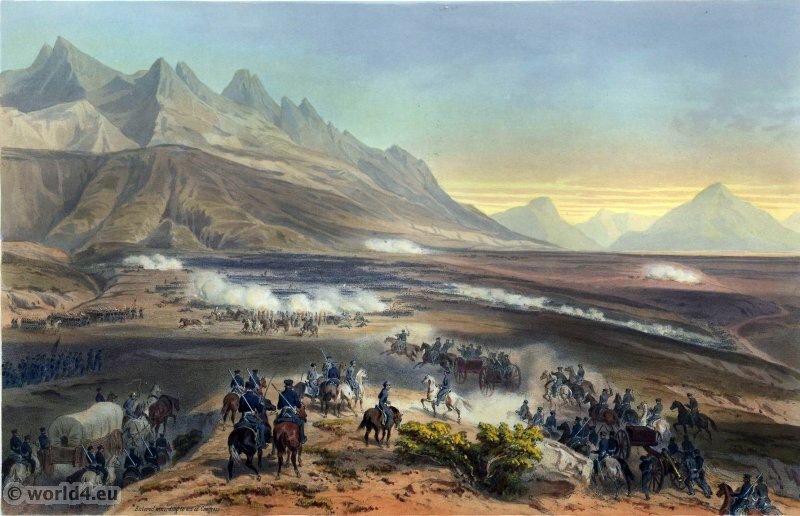 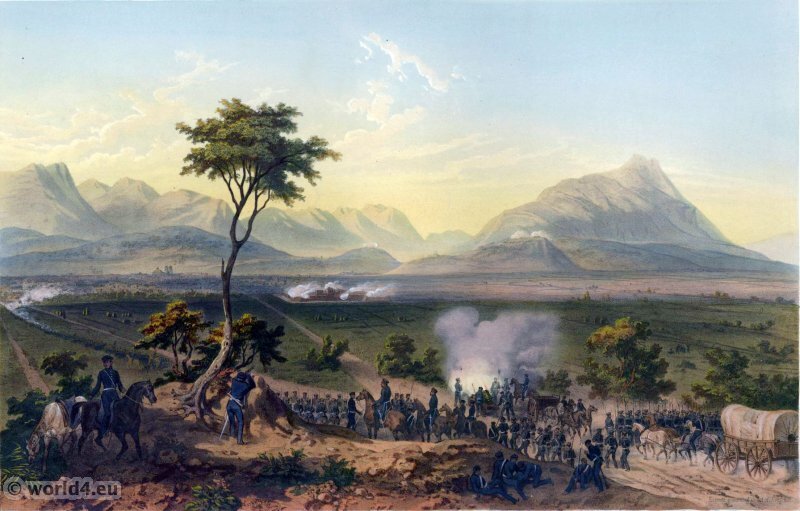 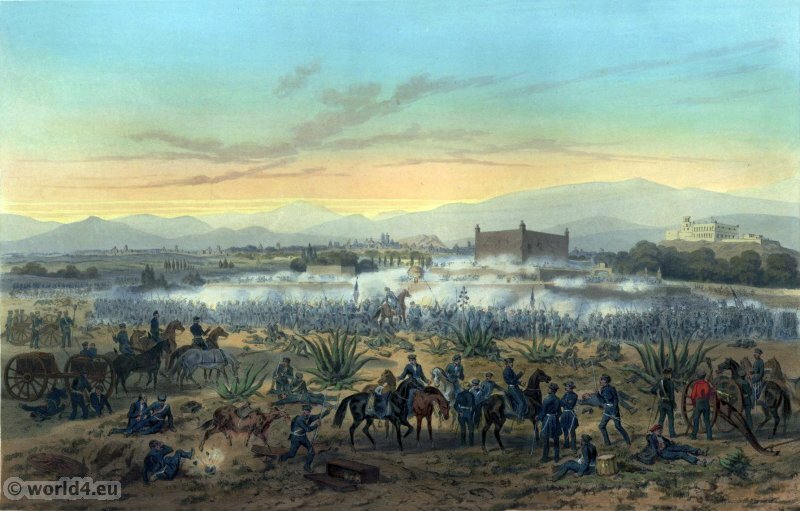 Battle of Buena Vista, 23 February 1847. 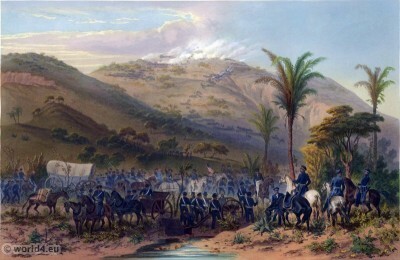 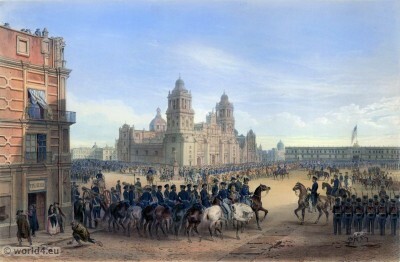 Assault of Contreras, August 19-20, 1847. 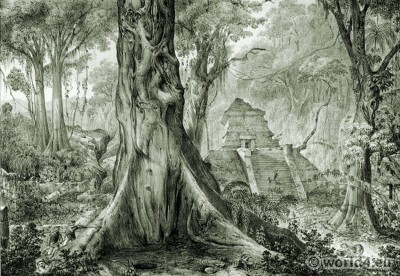 Carl Nebel 1805-1855 was a German engineer, architect and artist. He was known for his precise images of Mexican landscapes and his depictions of the Mexican-American War. He studied in Hamburg and Paris and then went to America for a few years. 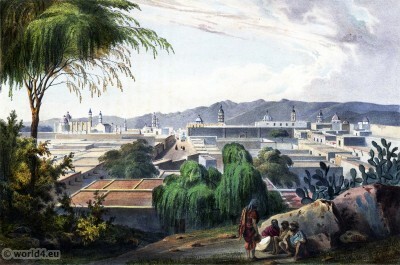 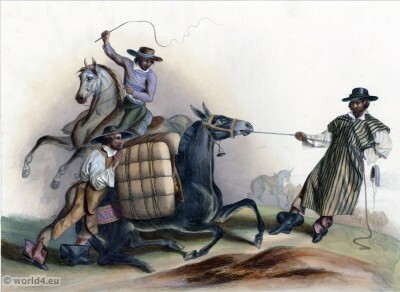 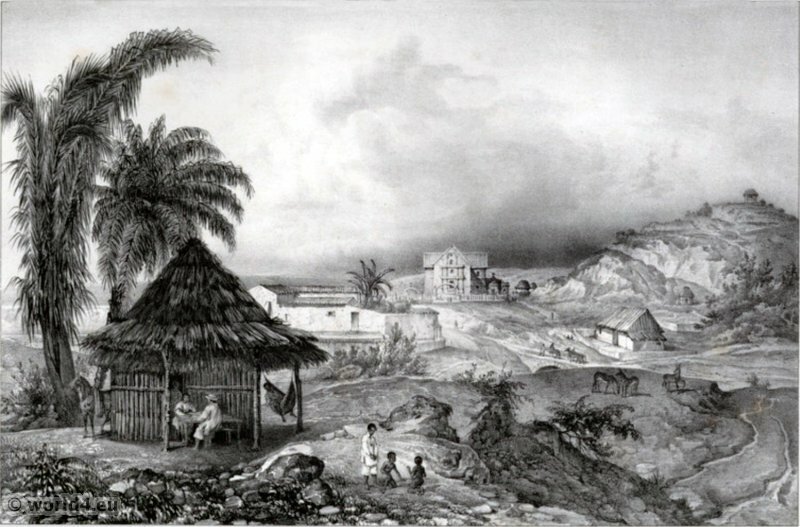 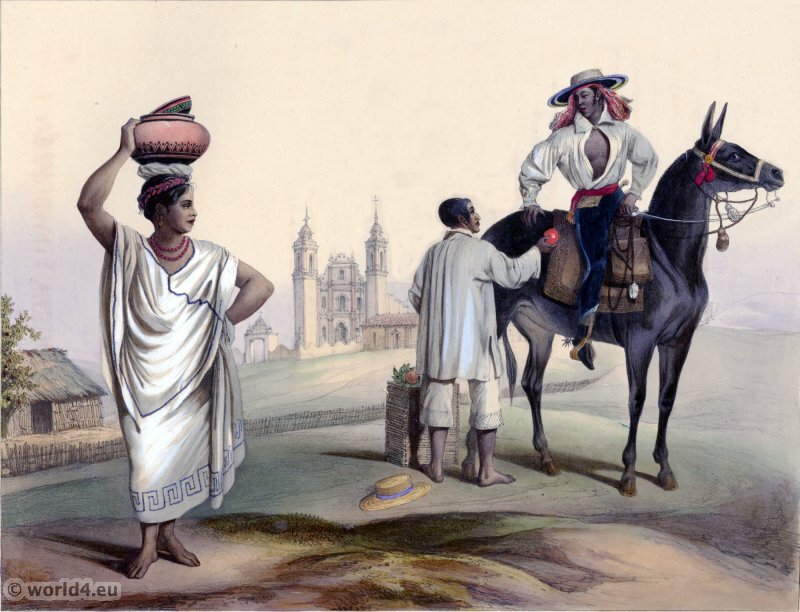 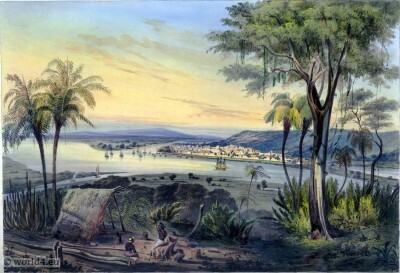 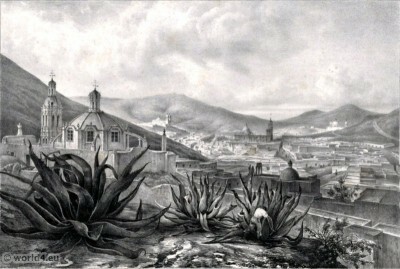 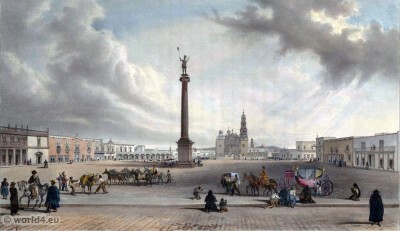 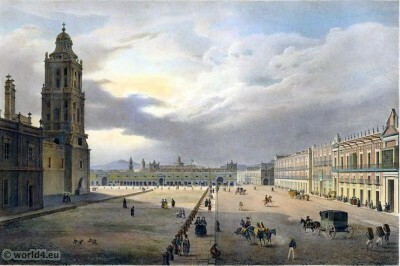 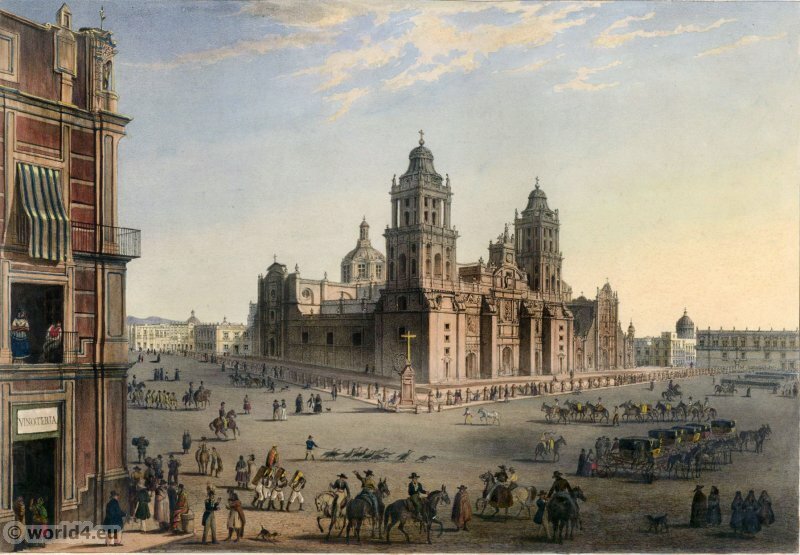 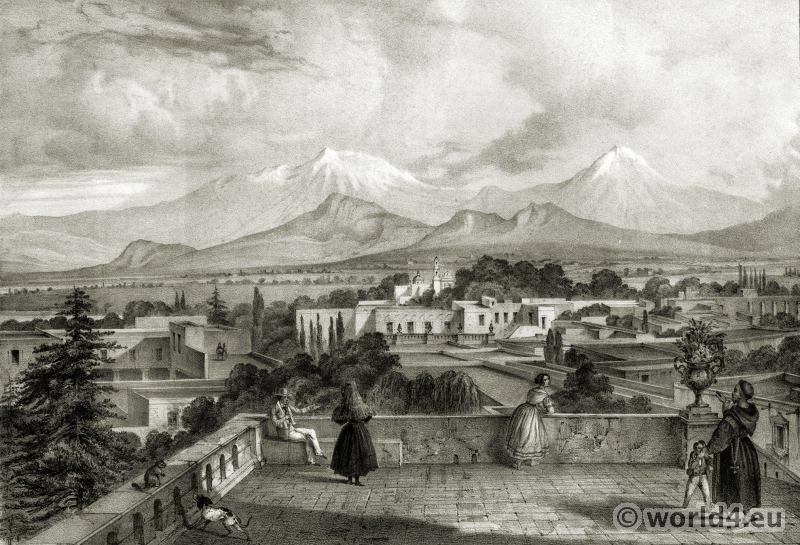 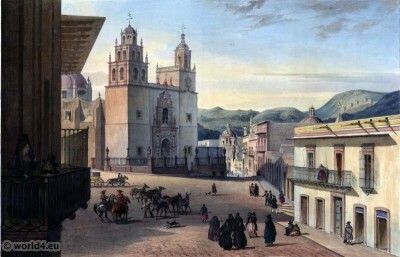 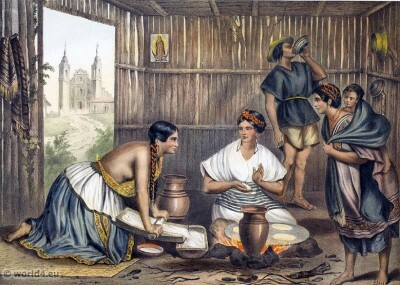 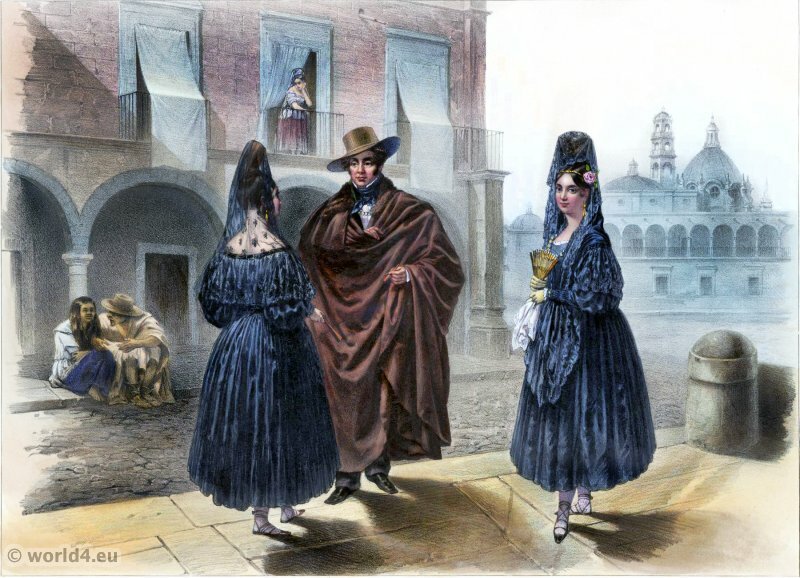 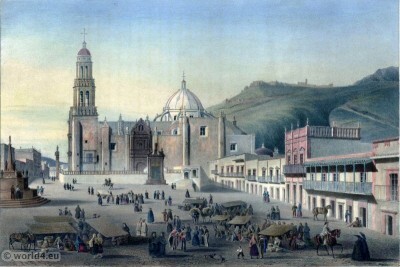 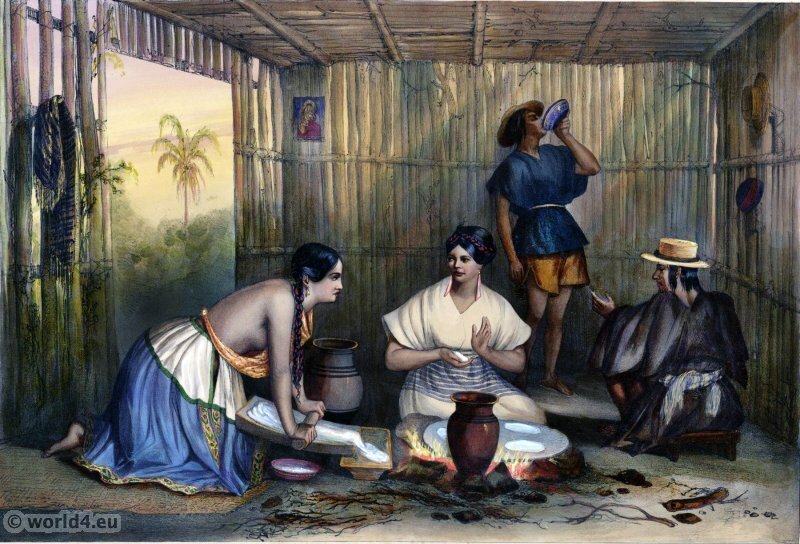 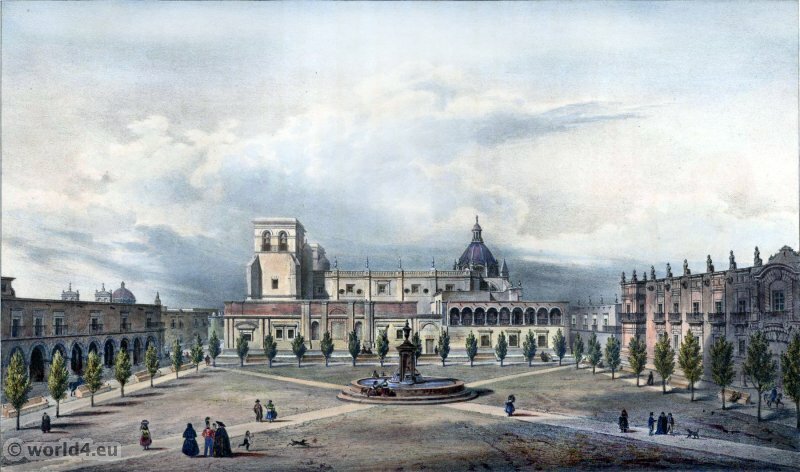 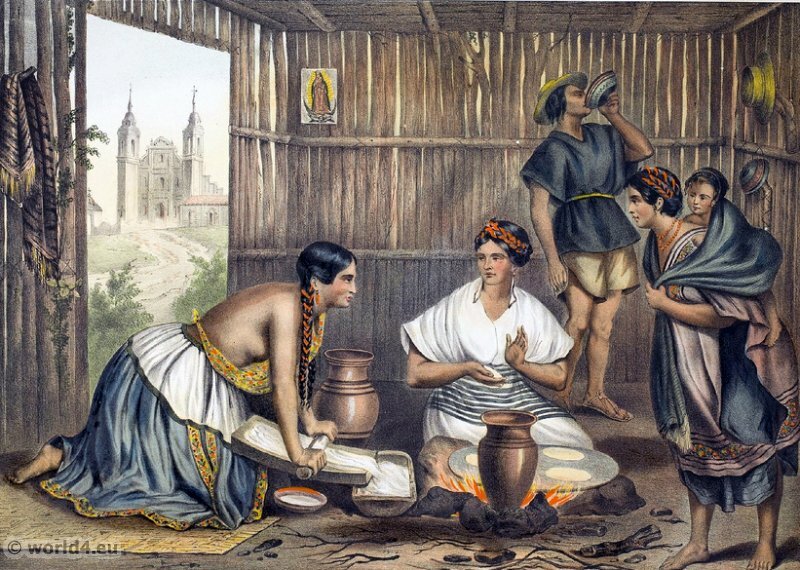 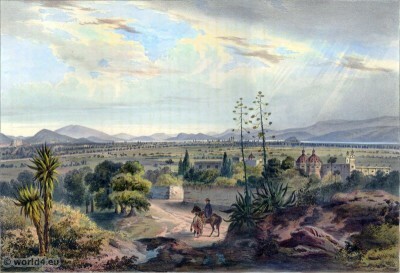 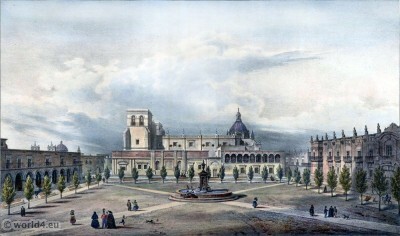 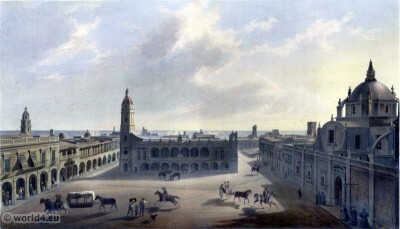 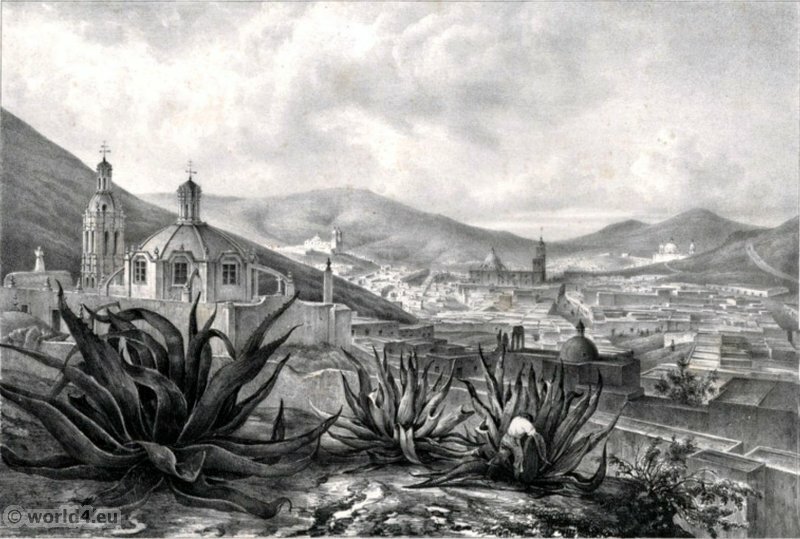 In 1836 he published in Paris an illustrated description of Mexico where he had lived from 1829 to 1834. 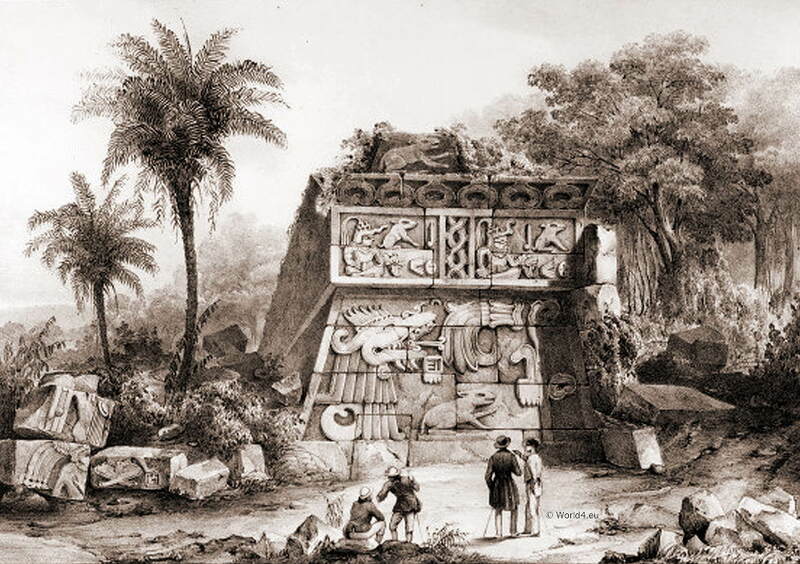 The preface to his book, Voyage dans la partie Archaeological pittoresque et la plus intéressante du Mexique, Alexander von Humboldt wrote. 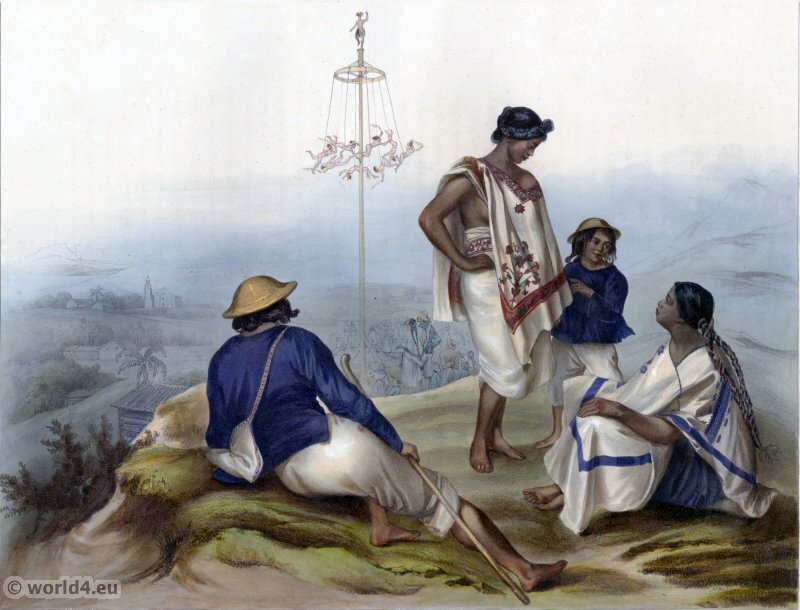 Related: Our islands and their people as seen with camera and pencil by José de Olivares (1899). Keywords: United States, American colonialism. 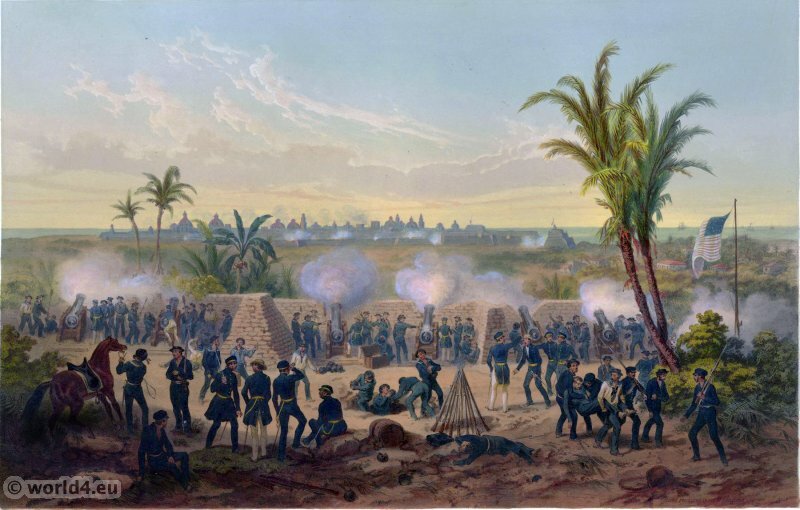 Philippine–American War. 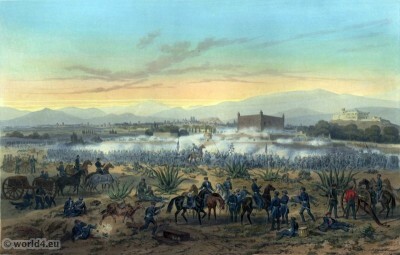 Spanish–American War. Alpine herdsman and dairy maid in the costumes from Appenzell. 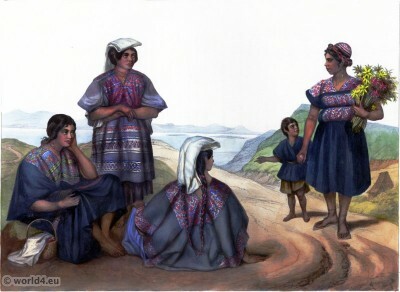 Peasant woman in folk dress of the Etter Mountain, Thuringia. 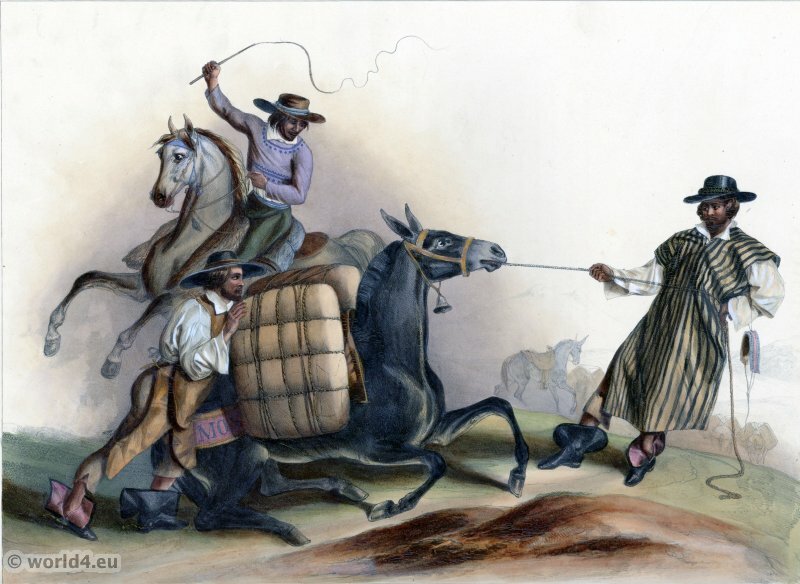 Narrative of the Texan Santa Fé expedition: comprising a description of a tour through Texas, and across the great southwestern prairies, the Camanche and Caygüa hunting-grounds, with an account of the sufferings from want of food, losses from hostile Indians, and finale capture of the Texans, and their march, as prisoners, to the city of Mexico – Kendall, George W. (George Wilkins), 1809-1867. Wagner-Camp (4th ed.) Two Volumes – Volume I., Volume II.